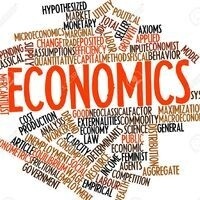 NSSR Economics Professors Duncan Foley, Sanjay Reddy, Anwar Shaikh and Paulo dos Santos will lead this talk called "Economic Processes and Statistical Equilibrium". This is a structured panel led by NSSR Economics Faculty, to discuss how statistical physics' approaches to economics contributes to the inquiry on the dynamics of capitalism. Hosted by The New School for Social Research's Economics Department, the seminar series features lectures, paper and book presentations from prominent economists.